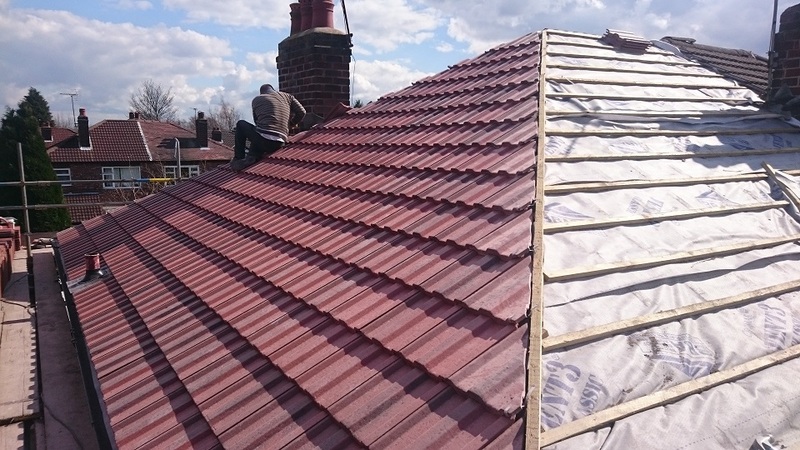 Flute Roofing have left a very happy customer in Timperley. 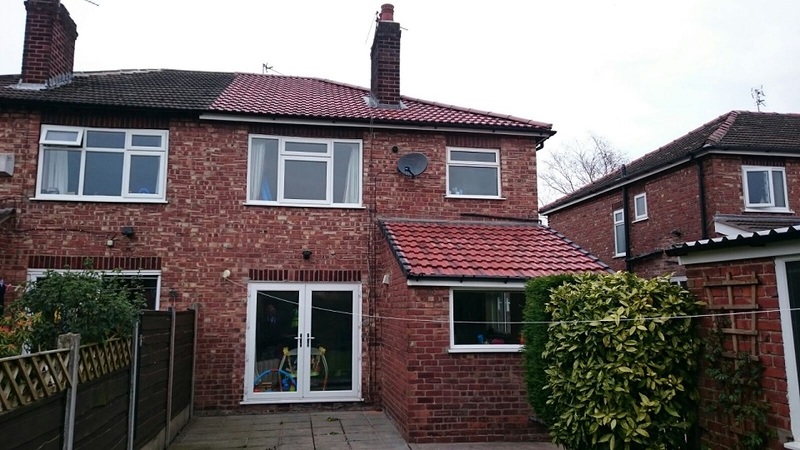 Flute Roofing completed a property on Windsor Drive in Timperley, leaving a very happy customer. This job took the team at Flute Roofing one week to complete. As with all Flute Roofing customers, we gave the customer a 10 year insurance back guarantee as well as a buildings regulations notification. Flute Roofing installed breathable felt, Loft insulation, treated battens and replaced all the gutters, as well as installing a bonding gutter between the property and their neighbours. This is for use on tiled pitched roofs to weatherproof the junction between two different roof coverings. We also replaced the lead work around the chimney and the Valleys. The customer asked us to replace the shingle tiles on the gable at the front of the house with UPVC. 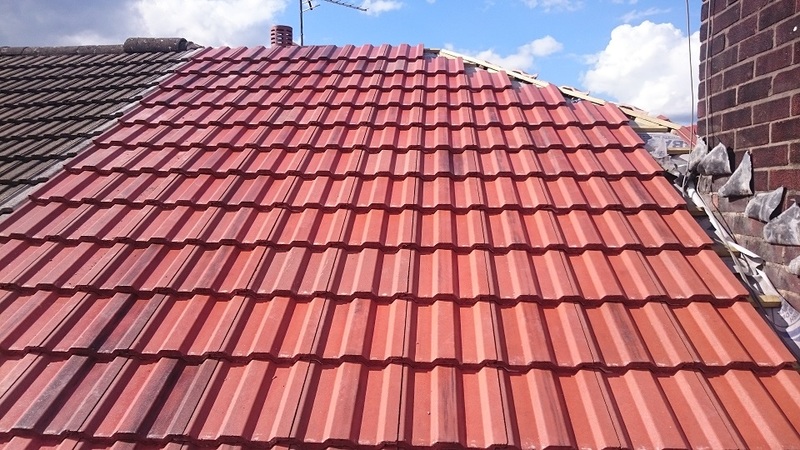 The customer opted for large concrete pan tiles in antique red, along with a dry ridge kit and dry verge kit. The rear kitchen extension roof also needed work, so we had to wait until the scaffold was dismantled. 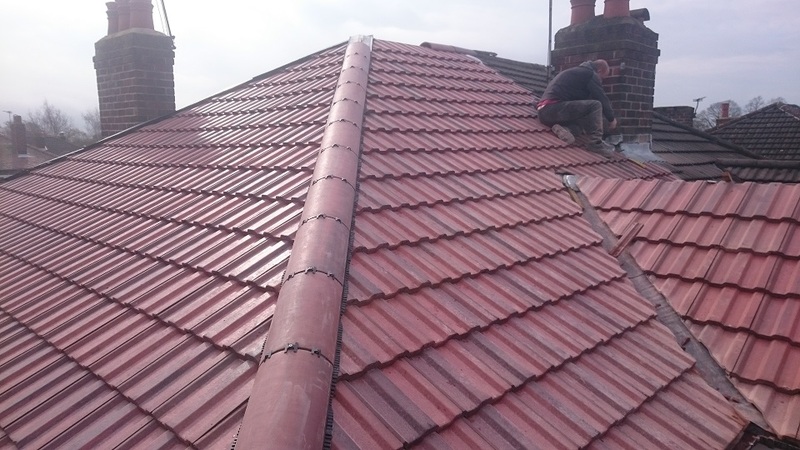 Once this was done, it took half a day to replace the lead apron, re tile the roof and attach the dry verge kit. At the end of everyday, Flute Roofing made sure the site was cleaned of debris, keeping the customer happy.